Wincanton has renewed its contract to provide fuel distribution for Valero Energy. The new deal will run for five years, which will take the working relationship between the companies to beyond 25 years. 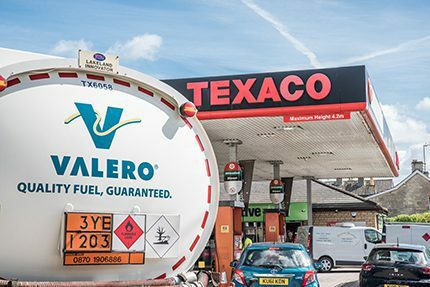 Wincanton will manage transportation from Valero’s network of UK terminals to more than 700 Texaco-branded sites across the country. Wincanton will transport over two billion litres of ground fuel each year and make around 200 deliveries every day. Wincanton will also control Vendor Management Inventory on behalf of Valero. As part of this, the company will monitor and control stocks at key retail sites across the country, enhancing customer service and stock availability. As well as ground fuel, the deal covers both the delivery of aviation fuel to East Midlands Airport on behalf of Valero and ethanol distribution across the UK. “We’ve been working with Valero for more than 25 years,” said Chris Fenton, managing director of industrial and transport. “In that time, we’ve built up a strong partnership with Valero and developed a real understanding of the needs of its customers.